Williams & Heintz Map Corp.
Now you get FREE SHIPPING on NOAA POD Charts on any order over $100! Williams & Heintz Map Corporation Print on Demand (POD) nautical charts are produced under the authority of the National Ocean Service, National Oceanic and Atmospheric Administration (NOAA). NOAA is the national hydrographic office for the United States of America. The data from which these POD chart are produced is certified by NOAA for navigation use. POD charts meet the requirements for the mandatory carriage of nautical charts established by the U.S. Coast Guard and published in Titles 33 and 46, Code of Federal Regulations, including the requirements for updating. 24 lb. JCP E-20 High Wet Strength Map Paper, a white paper with a lithographic finish that is made to be used out in the elements. This economical paper is fully functional even when wet. 36 lb. JCP E-50 Chart Paper, genuine 50% cotton nautical chart paper, the same kind of paper as the lithographically printed charts that mariners are accustomed to. 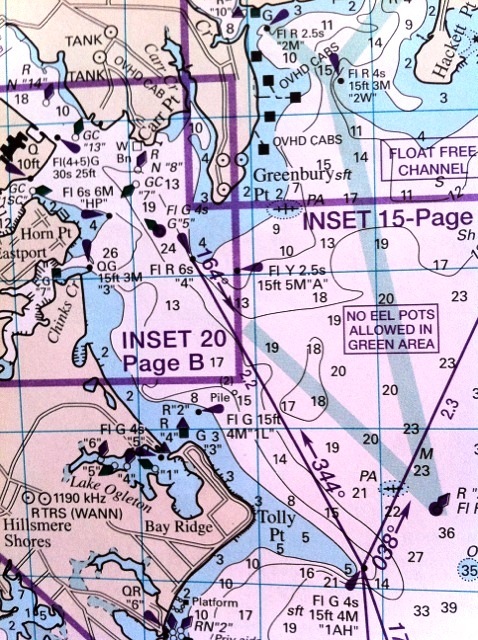 NOAA has authorized Williams & Heintz Map Corporation to sell NOAA’s paper nautical charts that are printed when the customer orders them, or “on demand.” The information on the charts is still maintained by NOAA, and the charts are corrected with Notices to Mariners up to the week of purchase. We print the charts at Super Fine – 1440 x 720 DPI, up to 64 inches wide, on a G7 calibrated wide-format printer. Williams & Heintz uses no toxic solvent inks or dangerous UV processes. I want to print a map. How do I determine the specifications? The first thing to be considered when printing a map is the end-user. A thoughtful examination of how people will use the map will help determine a majority of the specifications that define the product. Incorporation of these elements will insure the end users interest in the product. To decide what kind of paper will be best for your map, ask yourself: Where will people use the map? Will it be exposed to the elements? If so, a wet strength stock, or better, a printable plastic would be best suited. High Wet Strength papers retain 40% of their tensile strength when wet. It is, however, an uncoated printing surface and is therefore subject to considerable dot gain which can greatly diminish the appearance of graphics. In particular photos that were dark to start with will get a lot darker resulting in a loss of detail. Plastics, synthetic sheets, have the surface characteristics of a matte coated stock which is far superior in print quality, to uncoated. They are impervious to moisture, and have a folding endurance that greatly exceeds any paper. If you are designing your map for extended use, plastic is great for a durable, long-lasting map. They are also more expensive; although the public seems more than willing to pay for the improved quality and performance. Plastic is rarely used on a give-away product. Plastic is specified by thickness not weight. Shiny paper, such as gloss or dull-coated stocks have excellent print quality. Unfortunately they are prone to cracking when folded, and hence are better suited to use in book products or maps that don’t get folded. Gloss stocks are used in folded maps but normally only when the primary purpose of the map is advertising sales. In these cases print quality takes precedence over functionality. Will the map be hung on the wall or folded? If the map is intended to remain flat and get hung on a wall, a heavy weight stock would be of benefit to reduce sagging. A 100 lb. stock would be a good choice for a flat map destined for a wall. Most folded maps are printed on 50 to 60 lb. stock. Generally the larger the map, the thinner and lighter the paper needs to be to accommodate folding. The weight of the stock is determined by the weight of 500 sheets at the basis size. Although there are numerous other categories, most paper can be described as cover weight or text weight, with the cover stocks being the thicker and heavier ones. The basis size of cover stock is 20 x 26 inches. Text stock is 25 x 38 inches. Hence, a 60 lb. text stock is one in which 500 sheets of 25 x 38 paper weighs 60 lbs. A way to achieve multiple uses of a map would be to run multiple paper stocks at time of printing. It should be noted, however, that multiple paper surfaces will result in multiple appearances.